This simple Christmas play/ skit by Audrey Waters, is fun to perform and can be performed with very little in the way of costuming and or backdrops etc. 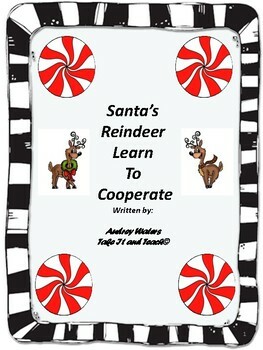 Santa's reindeer need a lesson in cooperation and the elves teach this lesson by using a poem/rap song/dance. 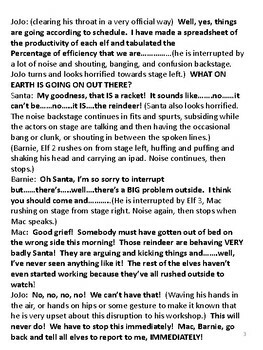 The play is written with only 5 speaking parts but can be adapted to include other short lines for the reindeer characters. 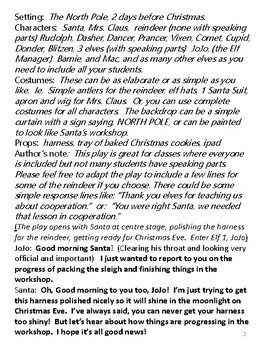 The play can be used with large groups of students who do not have speaking parts. The length of this play is approximately 6 - 12 minutes, depending on whether or not you use music/dance or the included poem. If music/dance is included then the length of the play will vary, depending on the song you use.